As you’re sitting here reading this article, chances are that you aren’t thinking for long about each individual word. You’re simply recognizing the words “on sight” because they are familiar to you. Hence, you are “sight reading”. For children, sight word recognition is an important step to being able to efficiently learn to read. If they don’t have to stop and consider what each word is, they will have the freedom to comprehend the meaning and context of sentences and paragraphs. Consequently, it’s critical for parents, babysitters, guardians, grandparents and educators to help beginning readers learn to instantly identify words. As you’re reading together, pick out the sight words you and your youngster have studied and learned. Ask him or her, “What is this word?” Then, wait patiently as he or she tries to decide upon the right answer. (Patience is essential!) The more you do this, the more your child will begin to effortlessly read. You’ll also be able to determine which words seem to be difficult for your son or daughter. 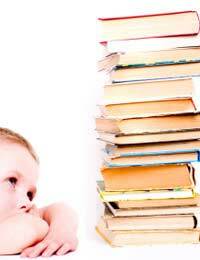 Then, you can spend time on those “sticklers” to further your child’s literacy level. If your youngster is old enough to comfortably hold a pen, crayon, marker or pencil, have him or her first trace some simple sight words, then reproduce them “freehand” by him- or herself. The more times this is practiced, the easier it will become… and your child will soon recognize those sight words the moment he or she encounters them. This will also help him or her identify sight words whether they are written in capital letters, small letters, or a mixture of both. Write a very short story (one or two sentences will suffice) using mainly sight words. Have your child read the story aloud to you. From there, you can gauge which sight words are “sticking” and which seem to be potential trouble spots. As your youngster’s confidence grows, you can begin to write stories together with more complex sight words to improve his or her literacy even further. Remember, though, that sight reading is a process – it’s not an overnight destination, but a journey. So be open to your student making mistakes and learning from his or her trials and errors; after all, even adults cannot possibly know every word in their native tongues. Most of all, have fun with this experience, as it can be a magical, rewarding time for you both!